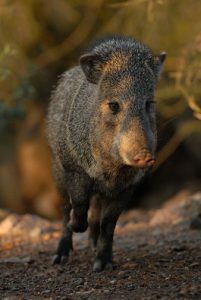 PHOENIX — Arizona hunters who were unsuccessful in the recent 2018 spring draw still have an opportunity to receive a hunt permit-tag for javelina. As of Feb. 2, there were 33 leftover hunt permit-tags available for general hunts that begin Feb. 23 and 197 for handgun, archery and muzzleloader (HAM) hunts that get underway Feb. 9. The Arizona Game and Fish Department has posted a list of leftover hunt permit-tags on its website at www.azgfd.com/Hunting/Draw/. Hunters can apply on a first come, first served basis one of two ways: Fill out a paper application and bring it to any department office statewide, at which time a hunt permit-tag will be issued, or mail the completed application to: Arizona Game and Fish Department, Attn. : Draw/First Come, 5000 W. Carefree Highway, Phoenix, AZ 85086. Allow 10 to 15 business days to receive a hunt permit-tag by mail. For more information, including license and hunt permit-tag requirements, legal methods of take, and bag limits, view the “2018 Spring Turkey, Javelina, Bison, Bear and Raptor Capture Hunt Draw Information” booklet online, or call (602) 942-3000.